Biscay retains a reputation as a spooky piece of water. 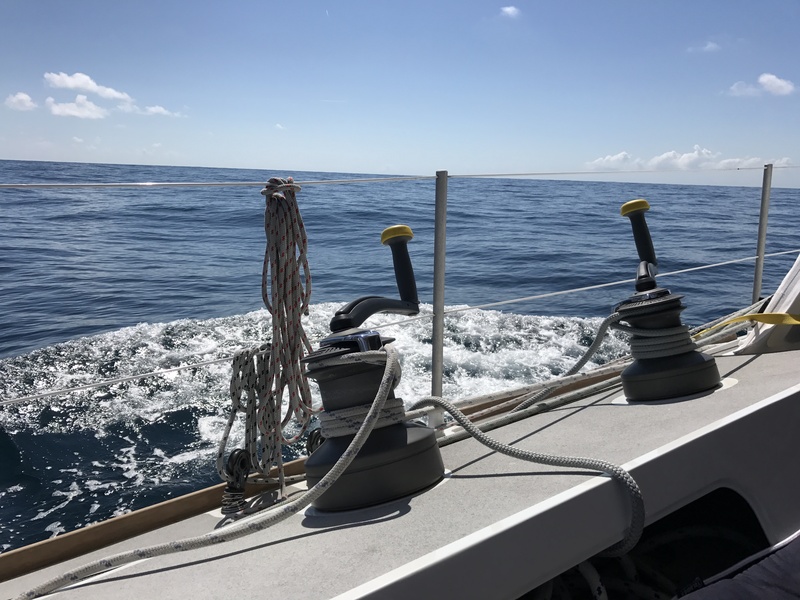 Weather forecasts today are accurate enough to allow for a solid planning of a 5 day crossing and August is a ‘safe time’ to navigate Biscay. Still I believe that even experienced sailors feel an uncomfortable churning in their tummies when they take on this passage. We have never had an ‘opstapper’ or additional crew on board before. 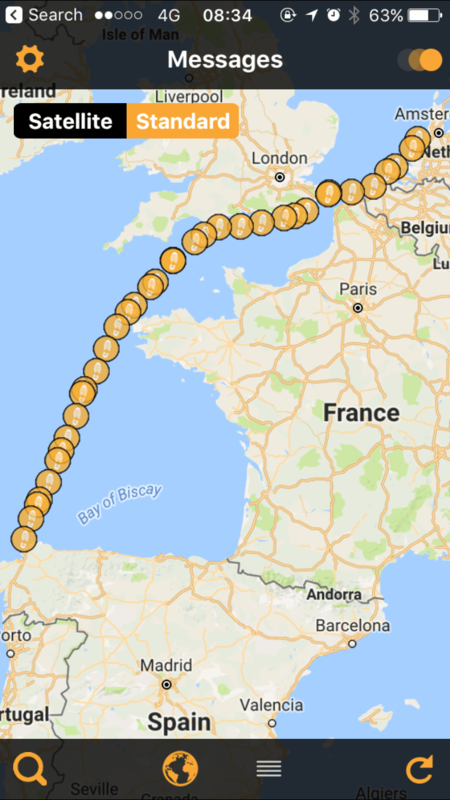 Opa joined us in Weymouth on the afternoon of August 12th and we pushed off a couple of hours later giving him just enough time to enjoy a portion of fish’n’chips and an ice-cream before setting off on this 540 nautical mile journey. One person needs to be awake at all times during a passage. As such, we made a schedule giving a 3-hour watch to each adult. Normally this responsibility falls to Seb and I alone and it was incredibly relaxing to be able to add a 3rd responsible person to this rotation. This meant 6 hours of uninterrupted sleep per night! We quickly settled into a very comfortable rhythms of watches, sailing the boat, meals, staring at the water, exercise (me and the monkies),reading, games, movies etc. A sailboat is an intensive space during a crossing but Opa fit in perfectly. The weather was extremely mild, in fact we were becalmed much of the time. Normally lots of motoring is extremely frustrating for a sailboat but this calm brought strong compensation for the lack of wind. Dolphins! Hundreds of them, swimming with us in large groups almost constantly day and night. And we never tired of watching them diving and dancing and chattering in such incredible synchronization. As Macsen and I stood on the bow watching them he asked “Are you crying Mama? Why are you crying?” “Because they are so beautiful.” Dolphins. Don’t worry, I cry when I see dolphins too!! I’m told it is a manly reaction!!! So I dont blame you at all!!! Thrilled you made it across Biscay…so where next…. Can one track S/Y Dutch online? Or would that be too spooky? Sending you all out love.